Many sales and marketing campaigns would be pointless if they didn’t eventually lead to the brand collecting money from its customer. So with more and more brands examining all parts of their customer interaction to improve the overall experience, this often-overlooked part of the sales and marketing cycle is gaining greater attention. The goal is to make the payments process as painless as possible, if not entirely invisible. Payments technology burst into the spotlight in Australia this year thanks to announcements such as Apple’s partnership with the ANZ Bank and the local launch of US payments startup, Square’s mobile card reader. Samsung has also bought its own mobile payments service to Australia, Samsung Pay, based on technology developed by a United States company, LoopPay, which Samsung acquired last year, while an Android-based contactless payment service is also expected to launch locally. Reports indicate the uptake of payments on mobile devices by consumers has to date been slow. But there are also numerous examples of mobile payment innovation emerging among those organisations accepting the payments. One of the clearest trends has been for retail stores around Australia to move away from the old concept of a point-of-sales counter with a fixed device in favour of mobile devices and roaming sales clerks. This has been enabled in part thanks to mobile POS technology from providers such as Square and Vend. Country manager for Square in Australia, Ben Pfisterer, says his company has received a strong response to the free POS app which it launched last year, with users ranging from small market sellers up to mid-sized retailers, cafes and quick service restaurants. The company subsequently launched its card reader here two months ago, and Pfisterer says this has given legitimacy to smaller businesses that had never been able to take card payments previously. But there have also been benefits for larger merchants from adopting Square, such as through mobilising sales clerks, and enabling the collection of a richer set of customer data. “Leading retailers are looking at these small format devices which they can give to 20 or 50 floor staff as opposed to spending hundreds and hundreds of dollars per device and have the risk of them losing it or dropping it,” Pfisterer says. One of the largest retailers to adopt Square is Japanese clothing maker, Uniqlo, which has partnered with the payments provider in several markets to mobilise its clerks. “Uniqlo came up with a unique proposition where it could have that queue-busting technology with mobile stations around the store where people can go and get a sale done quickly without having to line up,” Pfisterer says. An additional benefit is that Square can send electronic invoices to customers, which Pfisterer says is a great way of capturing email addresses, as well as for soliciting feedback. It is the ability to facilitate better interaction and data collection that is fuelling much of the payment innovation happening on the merchant’s side, as this requires less change on behalf of the consumer. 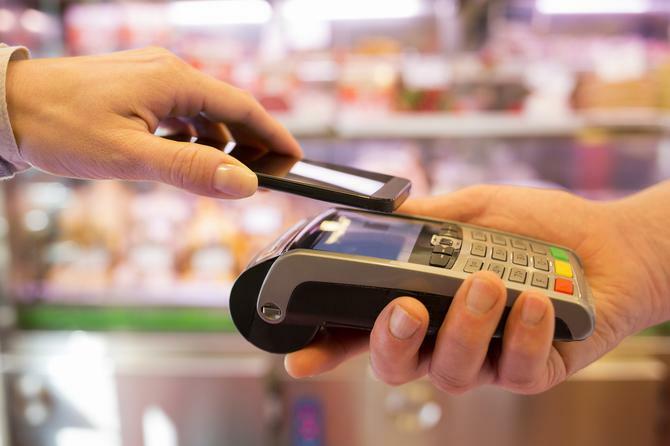 According to founder of New Zealand-based mobile POS technology company Vend, Vaughan Rowsell, a key reason why payments on mobile devices may not have caught on strongly may be because the existing method of taking a card out of a wallet or bag is actually pretty easy, especially with tap-and-go functionality. While mobile POS provides a simple method of identifying a customer and linking them to their transaction history, Rowsell says the benefit is limited as it takes place at the end of the interaction. As a result, Vend is looking at ways to help retailers better identify who the customer is much earlier in the engagement. “One of the channels might be around loyalty, so having the customer carry around with them some form of loyalty identifier, which could be a physical card, or recognising the MAC address of their phone when they walk in,” Rowsell says. While any such initiative would obviously need to reflect existing privacy provisions and consumer tolerances, recognising the customer might also provide a mechanism for merchants to effectively do away with the payment process altogether, he says. Getting there will require a further leap forward in terms of technology rollout and consumer adoption, but it is a vision that is also shared by one of the largest players in the payment market, MasterCard, as it seeks to bring together online and offline payments via the customers mobile device. Its senior business leader for market development and innovation, Gary Duursma, says realising this vision will require a significant leap forward for many merchants. “The majority of online payments are still done in an analogue way, where you have 16 digits being manually typed into a web page, and there is no more intelligence in that than the old click clack machines we used to have in stores a long time ago,” he says. Duursma says the clearest example of this today is with Uber, which creates a secure connection between its app and an electronic wallet on the mobile device and facilitates payment with no direct interaction between the service provider and acquirer. Such technology could also be incorporated into retail apps for instore payment. For example, a consumer might receive an offer via their app, go in store to collect the item, pay for the product through their app, and then leave the store having shown the purchase confirmation from their device on the way out. While the transaction industry has traditionally relied on a transaction fee for its income, in the future Duursma says it might rely more on capabilities that emerge from the data that payments produce. To this end in 2014 MasterCard acquired loyalty and rewards services provider, Pinpoint, which Duursma says enables it to close the loop between a loyalty offer and a transaction. Eventually, technology such as this might become completely invisible. According to US-based payments futurist, Heather Schlegel, the model for payments demonstrated by Uber and Airbnb is likely to become more prevalent in the future. With these services, the transaction takes place automatically, with practically no physical interaction between the persons delivering and acquiring the service. Schlegel says this points towards a future that is not quite the Star Trek utopia of a society where, money no longer exists, but it may increasingly feel that way.